##TheStrategyLab primary purpose is for you to use the free chat room as a trade journal of your trades via you posting WRB Analysis of the price action you see on your monitors, posting price action analysis, ask real-time questions about WRB Analysis or posting your real-time trades (simulator or real money) in a timestamp environment after you've received confirmation from your broker trade execution platform. 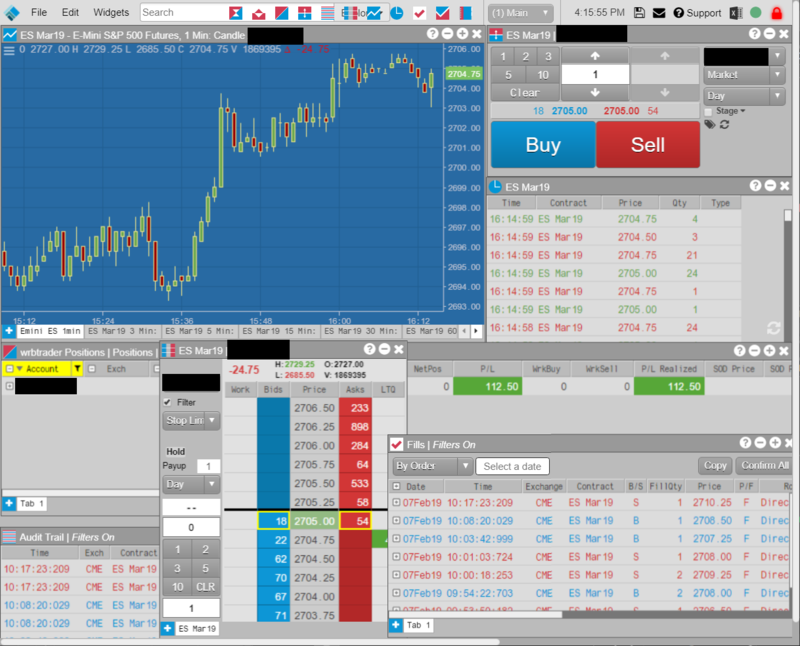 Simply, the free chat room is a trade journal of your trading day (thoughts and trades). In fact, if you think the only feedback you need is your broker statements and you decide to not discuss WRB Analysis nor post any real-time information about how you're viewing the markets nor post real-time trades...the free chat room will be a waste of your time and you will increase the odds of failing at trading...especially if you login to the free chat room and then just lurk (not say anything about your trading). The free chat room is located on the Freenode IRC network along with being a serious professional trading chat room for traders that want to talk about their use of WRB Analysis (e.g. Contracting Volatility, WRBs, WRB Hidden GAPs, WRB Zones, WRB/WRB Hidden GAP profit targets, Key Market Events, Reaction Highs/Lows, Expanding Volatility, R area of WRB Zone, S area of WRB Zone, midpoint of WRB Zone and speed of the price action) merged with their trade methods to improve the performance of their trade methods regardless if they're a position trader, swing trader, day trader, trend trader or range trader. Therefore, you're welcome to use the free chat room to ask questions about WRB Analysis, post your real-time price action trading analysis involving WRB Analysis merged with your own trade methods, post real-time trades or talk about general market issues impacting today's price action involving stocks, futures, exchange traded funds or forex currencies. In addition, we welcome all traders (beginners, experience, part-time, full-time) that are merging WRB Analysis with their trade methods or using WRB Analysis to help develop a better understanding of the price action (market context) they're trading. This is not a signal calling (trade alerts) room. Our free chat room has never been advertised as a trade room and we ban traders for attempting to use our chat room as a trade alerts room for the purpose to mimic/copy trades posted by any of our members. [09:46:15] <wrbtrader> Also, yesterday I logged in and did some trade but I didn't have time to post the trades here in the free chat room. [10:06:44] <wrbtrader> I got an anonymous email last week from someone that stated I SAID I do not use the DOM but they were wondering why do I have a DOM shown in my images of broker PnL statements ?? [10:14:09] <wrbtrader> Ok...gotta go to my appointments...no trades today for me. 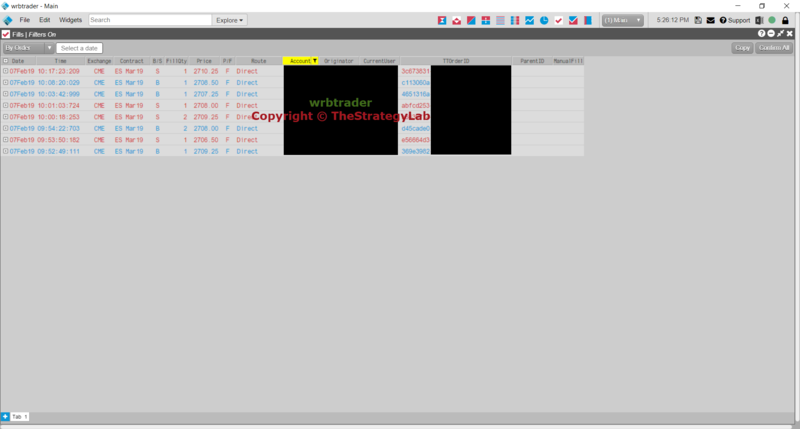 ##TheStrategyLab (located on the Freenode IRC network) is free and is a serious professional trading chat room involving WRB Analysis in which any trader (position trading, swing trading, day trading) can use the chat room to post their trades or commentaries about stocks, futures, exchange traded funds or forex currencies. 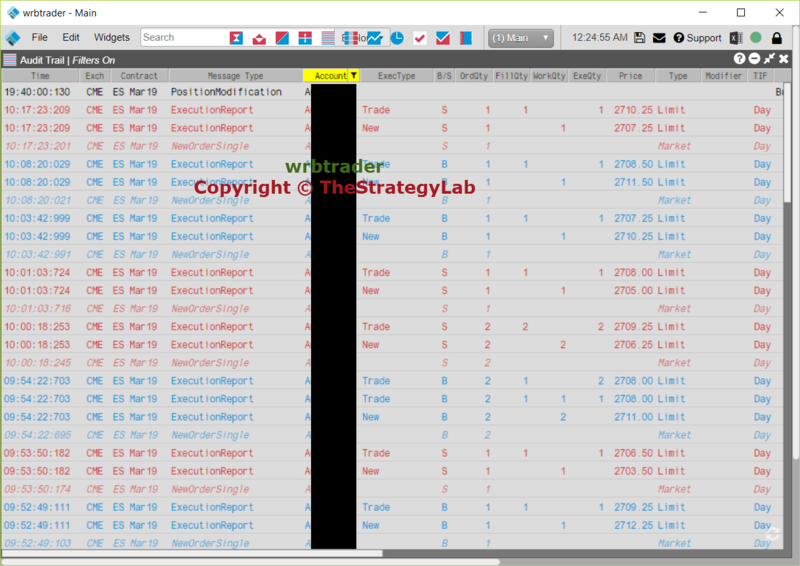 Simply, you don't need to be a client of TheStrategyLab.com to use the free chat room nor do you need to be a price action trader (no indicators) because some members use indicators while others do not. Yet, the only requirement is that you want to learn WRB Analysis. The free chat room is not a signal calling trading room with a head trader telling you what to trade, when to buy or when to sell. In fact, we do not believe in the business model of a head trader telling other traders when to buy and sell. Its a flawed approach to trading and its a flawed substitution for mentoring in which a trader can not learn how to be a successful independent trader.